Imagine that when you finish a glass of wine, small text and images instantly pop up on the table, recommending a variety of different wines for you to try next. The selections would take into consideration your preference, pairing with your dish, and so on. This is the type of augmented reality envisioned by tech software company Lampix, founded and headed by Romanian entrepreneur George Popescu. The Lampix software, still in development to be commercialized, projects various types of information onto tables. 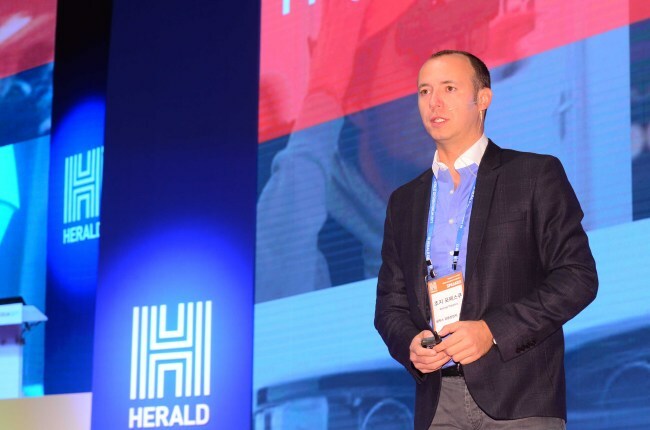 “We’re all familiar with smart surfaces, like the screen of a smartphone,” Popescu said at the Herald Design Forum’s third session, titled “The Design 4.0: New Normal Design Economy,” held at The Shilla Seoul on Tuesday. The Lampix software aims to use a projector to display images onto such surfaces. “You could purchase a coffee, and augmented reality would recommend similar aromas to fit your taste on the tabletop,” said Popescu. Lampix software could be incorporated into clothing stores, recommending matching accessories and so on, Popescu pointed out. The same type of content accessible on the internet would become available in physical spaces, he said. Sung Jung-gi wants to encourage people to rethink their actions through his thoughtful designs. One of Sung’s designs was a mineral water bottle with a cap shaped like the handle of a water faucet. “I wanted to restore faith in tap water, while simultaneously calling for government efforts toward better quality tap water,” Sung said at the Herald Design Forum. Sung is the creative director and product designer of design company Daylight Asia’s headquarters in Seoul. 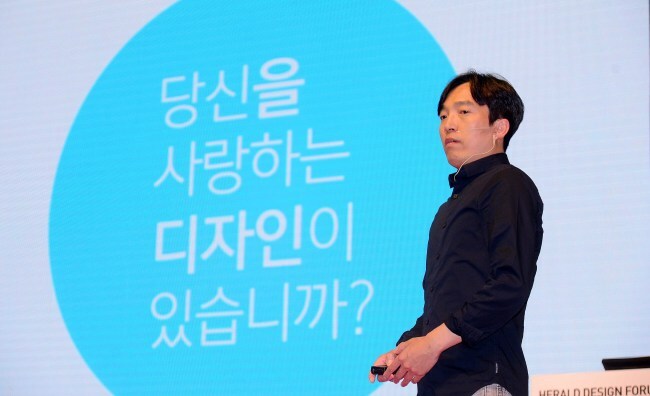 The industrial designer was the first Korean designer of Ideo, a US-based international design and consulting firm, before taking a post at Lunar from 2006 to 2013. Another product designed by Sung was a trash can with a webbed cap. Musician-turned-designer Gen Terao detailed his life story, tracing the twists and turns in his journey to founding product design company Balmuda in 2003. Prior to entering the design industry, the award-winning designer pursued a music career as a member of a band. After the group’s disbanding in 2001, Terao taught himself skills in product design and manufacturing. Balmuda was first brought to public attention following the launch of Green Fan in 2010. Balmuda’s signature toaster oven, the first product in the company’s Hello Kitchen! Series, won the gold prize at the Good Design Awards in 2015. Terao’s business philosophy is based on instincts, trust in the self and the pursuit of a better quality of life. “It’s impossible to prove that something is impossible. In this strong belief I have been running my business. 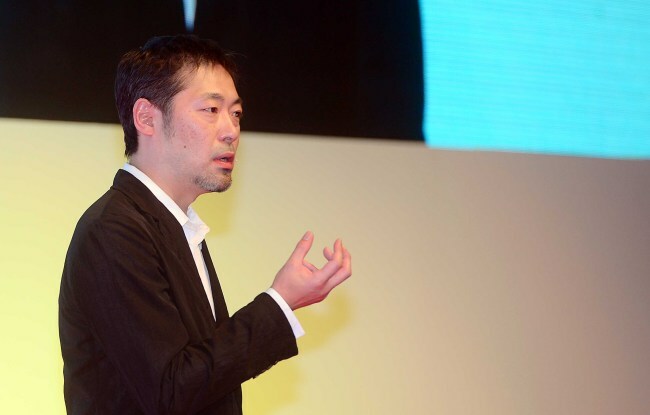 Terao urged aspiring creators to stay truthful to their own personal tastes.